The pocket square has long been the finishing touch in a gentleman’s wardrobe. But why do we wear one, how do you fold one, and the all important question, should it match your tie? Oliver Brown proprietor, Kristian Robson, talks us through the art of the modern pocket square. The pocket square is the namesake of the handkerchief dating back to Ancient Greeks who wore them to cover their heads. Later, English and French noblemen found a different use for them; guarding their noses from the reek of the streets around them. Fast forward to the 30s and 40s, the pocket square took over Hollywood, with every gentleman actor adorning his suit with one. Pocket squares are purely decorative. A handkerchief - to blow your nose - should be kept in your trousers pocket. Fashioned from cotton, silk or linen and in an abundance of colours and patterns, the pocket square simply gives a gentleman the opportunity to add a little personality to his outfit. It shouldn’t match, instead, aim to compliment the colours in your shirt and tie. A dependable option is classic white – this always works. Aim to have you pocket square looking nonchalant and bear this in mind when folding one; after all it is just a pocket square. 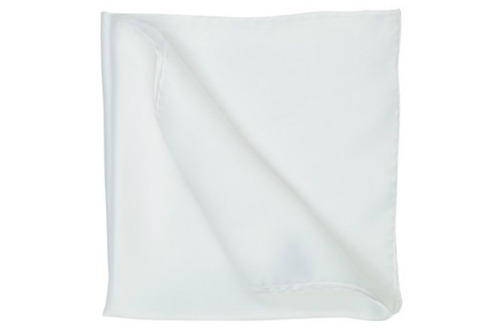 There are many different ways to fold or ‘puff ‘your pocket square, but I recommend this easy classic. Place your pocket square in a diamond shape, take the lower corner and fold it upwards so it sits to the left of the top corner. Then fold the left hand side to the centre and the same of the other side. Turn this over to place it in your jacket pocket. Now, work to make it look suitably imperfect.